Many family kitchens are taking advantage of the innovation that comes with a garbage disposal in the sink, allowing them to get rid of the scraps with little to no hassle. However, the inevitable always seems to happen, including the garbage disposal you love so dearly breaking and needing some Garbage Disposal Repair in Phoenix, AZ. If you are finding yourself in the same predicament with your own garbage disposal, then you have come to the right place! 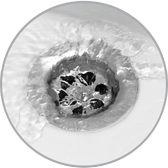 We are a professional plumbing and home repair company with years of experience in fixing all types of repairs in the plumbing and home repair field, including fixing garbage disposals. We have a highly qualified and well trained staff that will help you tackle any home or plumbing repair you could possibly need within your living space. With our many years of expertise, we can help you get your home running back in tip top shape, and we offer a wide range of services to help accomplish that goal, including our Garbage Disposal Repair in Phoenix, AZ. Whatever the mess, or whatever the task you may have at hand, you can rest assured that our company will have it taken care of in no time! With our high quality range of services and our helpful and talented employees to help you get the job completed, you can have that peace of mind that your home will be running and looking like new once again with little to no hassle to you, and without having to break the bank as well. If you are ready to book your consultation or appointment with our professional plumbing and Garbage Disposal Repair in Phoenix, AZ, you can find all of our contact information located on our website. We look forward to serving you and all of your home repair needs!